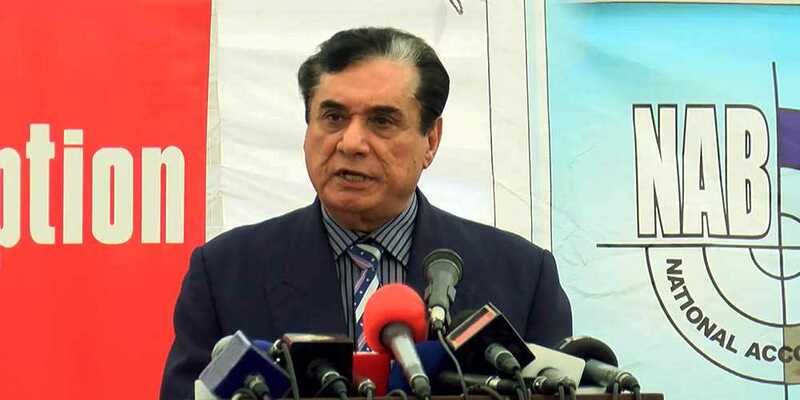 National Accountability Bureau (NAB) Chairman Justice (Rtd) Javed Iqbal on Wednesday openly defied what he termed as ‘threats’ being given to their department for proceeding with cases of mega corruption, and asserted that the department would response to the ‘organized propaganda’ with their performance and determination. Reportedly, he visited the NAB’s regional office in Peshawar where Khyber Pakhtunkhwa’s (KP) NAB Director General (DG) Farmanullah Khan briefed him regarding certain cases of corruption. On the occasion, he outlined that his highest priority was to complete the pending cases and as much as 44 references were filed in this regard. Moreover, he called for strict implementation of ‘zero tolerance’ against corruption. “The pending cases of corruption will proceed with transparency and according to the Constitution,” he added.